This luxurious residential complex located in Sayulita, Mexico, was designed by Main Office. 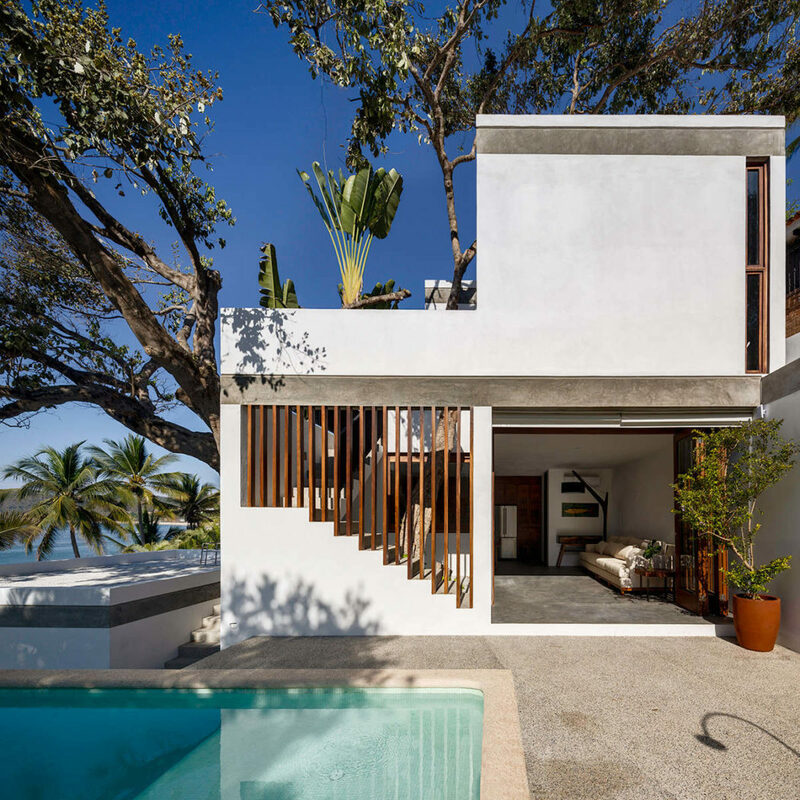 The Mexico and Sweden-based architectural practice MAIN OFFICE www.mainoffice.eu has recently expanded and restored CASA LT, an existing residential complex nestled in luxuriant tropical Mexican greenery. Located in Sayulita, a well-known surfers? town on the West coast of Mexico, the building stands on the beachfront and blends smoothly into the steep and articulated topography, with a breathtaking view over the Pacific Ocean. Carefully integrating architecture and the tranquil tropical landscape, CASA LT has been designed around the living palm and almond trees, plantains and ferns that join the site?s topography in playing a key role in ensuring a clear view to the waterfront from all its spaces, both internal and external. Composed of three small houses situated on the top of the hill, the original complex built in the 50?s was in poor condition due to humidity problems and lack of maintenance. MAIN OFFICE initially focused on the renovation and preservation of the original essence, and then on the design of a new main building and a guest house facing the beach on the lower part of the property. ?The main idea of the project is to reinterpret the design parameters of the original complex and to keep the idea of a small-contained village within the site.? says Dante Borgo, MAIN OFFICE?s co-founder.